LEXINGTON, Mass., Oct. 23, 2017 /PRNewswire/ -- Agenus Inc. (NASDAQ: AGEN) Chairman and Chief Executive Officer (CEO) Garo Armen Ph.D. announces the appointment of Bruno Lucidi as CEO of AgenTus Therapeutics, Inc., a subsidiary of Agenus that has been established as a dedicated cell therapy company, which will focus on the discovery, development, and commercialization of Adoptive Cell Therapy (ACT). Lucidi brings extensive expertise in drug development and more than 30 years of experience in the biopharmaceutical industry. Lucidi's leadership record includes Head of Pediatric Vaccines at GSK Biologicals, where he was in charge of developing a global business of more than $3 billion. Lucidi was Worldwide Vice-President Virology & Oncology at Johnson & Johnson where he led portfolio strategy from drug discovery to market and served in senior leadership at Bristol-Myers Squibb where he was responsible for the strategy and launch of several new antiviral and oncology products, including but not limited to Videx® (didanosine), Zerit® (stavudine), Paraplatin® (carboplatin) and Taxol® (paclitaxel). Lucidi was the Founding CEO of Idenix and the Chairman of Pharmasset, where his contributions at both companies laid the foundation for successful multi-billion dollar companies, which were later acquired by Merck and Gilead for approximately $4bn and $11bn, respectively. 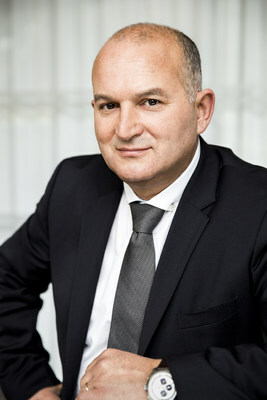 Lucidi also served as CEO of several companies in Europe including Karolinska Development AB, KDEV Oncology and Aprea AB. Lucidi is currently an External Expert for the European Commission and Life Sciences Expert at AWEX, Wallonia trade and foreign investment agency in Belgium. As CEO of AgenTus, Lucidi will lead a team of world-class scientists, while leveraging the proprietary technologies, intellectual property assets, pipeline, and expertise of parent company Agenus. "Bruno has the ideal mix of industry know-how and business-building expertise to propel AgenTus forward and transform our powerful cell therapy technology into novel treatments for patients with cancer," said Garo Armen, Ph.D. Chairman and CEO of Agenus. "I am delighted to see Bruno's appointment to this key role to rapidly translate our cell therapy platforms, novel targets, and innovative delivery format into a pipeline of effective therapies to drive value to patients and AgenTus." "AgenTus has the foundational technology and expertise to rapidly become a major player in the field of Cell Therapy. I am honored to work alongside a team of world-class scientists. My objective is to rapidly advance product innovation and create value by bringing effective cell therapies to cancer patients," said Lucidi. "I look forward to further building and developing this exciting company and to realize the enormous potential of cell therapy as an emerging class of medicines in the immuno-oncology field." AgenTus Therapeutics is a preclinical-stage biopharmaceutical company that will focus on the discovery, development, and commercialization of breakthrough "living drugs" to advance potential cures for cancer patients. AgenTus will employ naturally-derived and engineered receptors, specifically T cell receptors (TCRs) and Chimeric Antigen Receptors (CARs), designed to supercharge human immune effector cells to seek and destroy cancer. AgenTus will also aim to advance adoptive cell therapy formats which would enable off-the-shelf living drugs. AgenTus will have locations in Lexington, MA and Cambridge, UK. For more information, please visit www.agentustherapeutics.com. This press release contains forward-looking statements that are made pursuant to the safe harbor provisions of the federal securities laws, including statements regarding the AgenTus' prospects, business plans, assets, capabilities, operating plan and expected ability to leverage the assets and capabilities of Agenus to rapidly become a major player in the field of Cell Therapy. These forward-looking statements are subject to risks and uncertainties that could cause actual results to differ materially. These risks and uncertainties include, among others, the factors described under the Risk Factors section of our most recent Quarterly Report on Form 10-Q or Annual Report on Form 10-K filed with the Securities and Exchange Commission. Agenus cautions investors not to place considerable reliance on the forward-looking statements contained in this release. These statements speak only as of the date of this press release, and Agenus undertakes no obligation to update or revise the statements, other than to the extent required by law. All forward-looking statements are expressly qualified in their entirety by this cautionary statement.